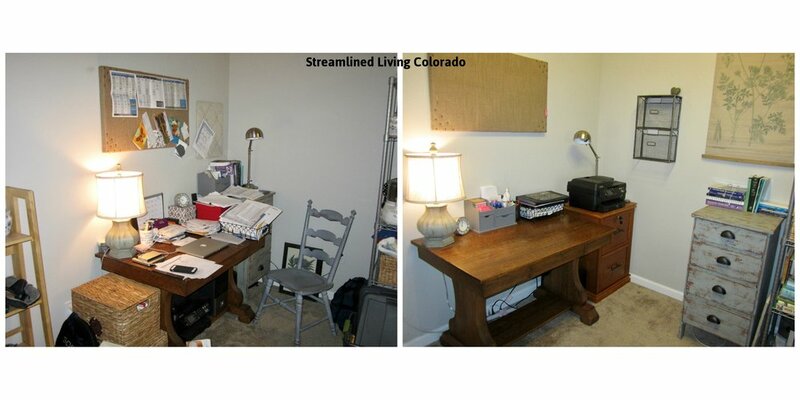 Denver Home Office 1/5: This client called Streamlined Living Colorado because she didn't know where to begin. 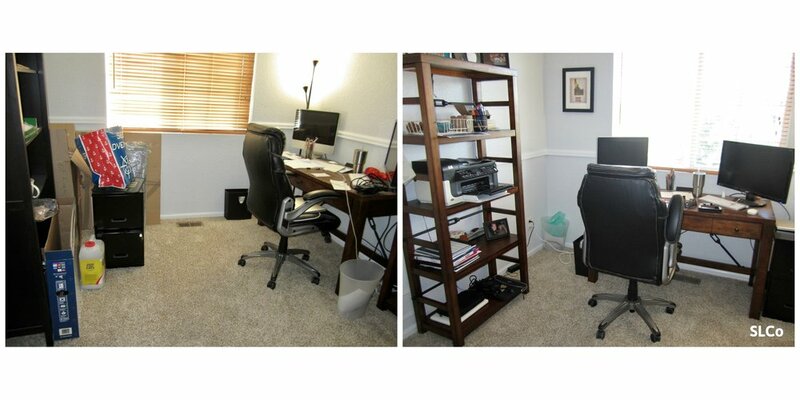 Decluttering and organizing this home office took us (myself and the client) 10 hours which included paperwork and as well as organizing the large walk-in office closet. What a gratifying project this was!!! Denver Home Office 2/5: My client did an EXCELLENT job staying focussed with this big project. Denver Home Office 3/5: This office space was transformed into a such a beautiful workspace. Denver Home Office 4/5: I absolutely love how this space was transformed! 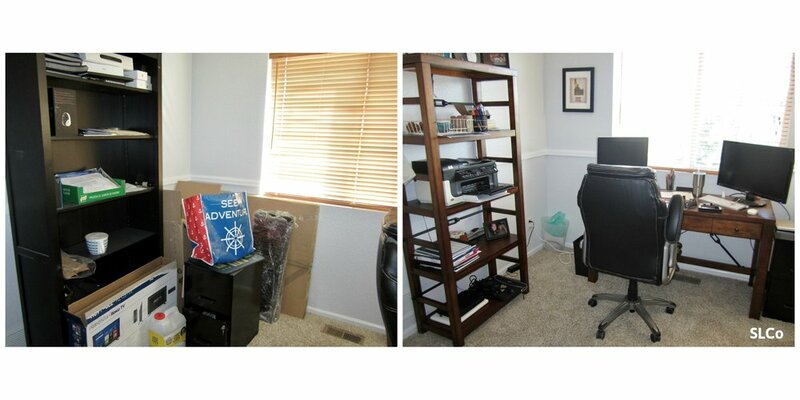 Broomfield Home Office 1/3: This office was the only trouble spot my client had in his home. After some purging, decluttering and rearranging, he now has a lovely workspace! 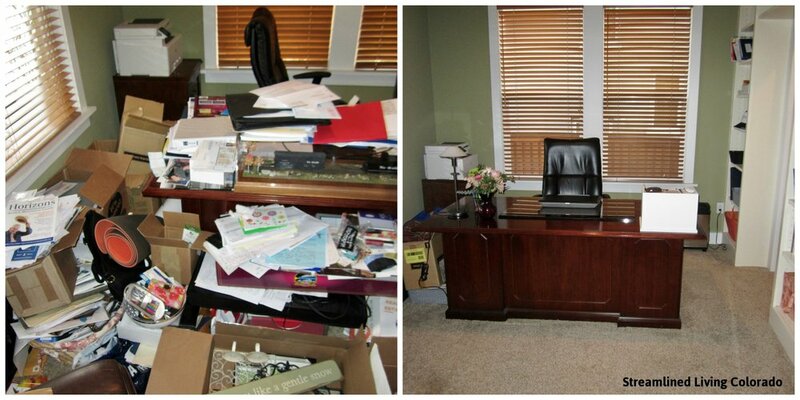 Aurora Home Office 1/3: My client was determined to get this office in order! Aurora Home Office 2/3: There’s much more room for my client to spread out her papers now! Highlands Ranch Loft Study Space 1/5: The client was tired of unpacking after their recent move so she called SLCo to get the office functional but not completely “buttoned up”. After getting a huge jumpstart on getting it unpacked and organized from Streamlined, the client had her daughters apply the final touches after I left! Highlands Ranch Loft Study Space 2/5: The client was waiting to purchase a bookcase or two until after she should see how much space she would need for books. Highlands Ranch Loft Study Space 5/5: Now my client can order a piece that will work well for the space for what she has left to display. DTC Condo Workspace: There was more than meets the eye to this project! My client and I spent time going through her many years of files. We purged, created categories, labeled and found a new home for all of them (her new filing cabinet in the "after" picture). 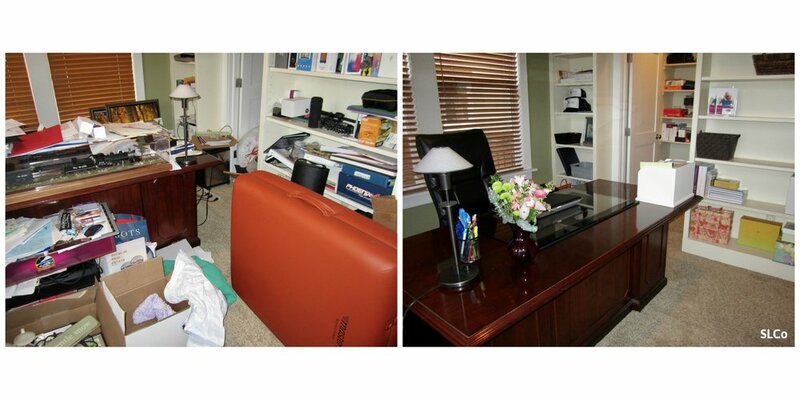 Between revamping her filing system and making the best use of space in her office area, this client is now set up for success! 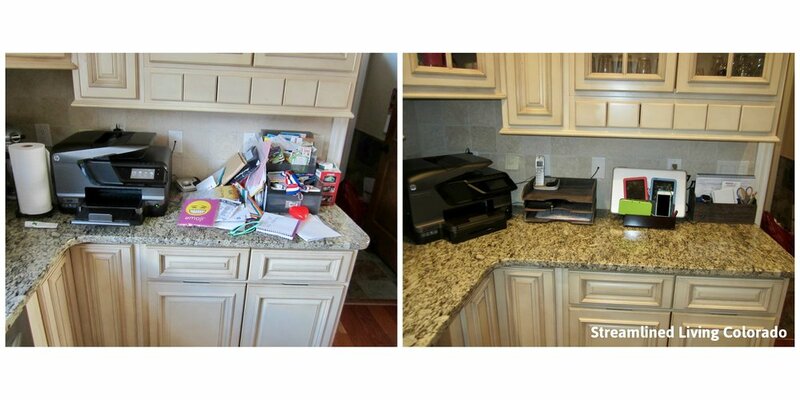 Kitchen Desk Area: My client was overwhelmed at the thought of going through all of that paperwork on her desk so she called Streamlined Living to help wrap her arms around the project. 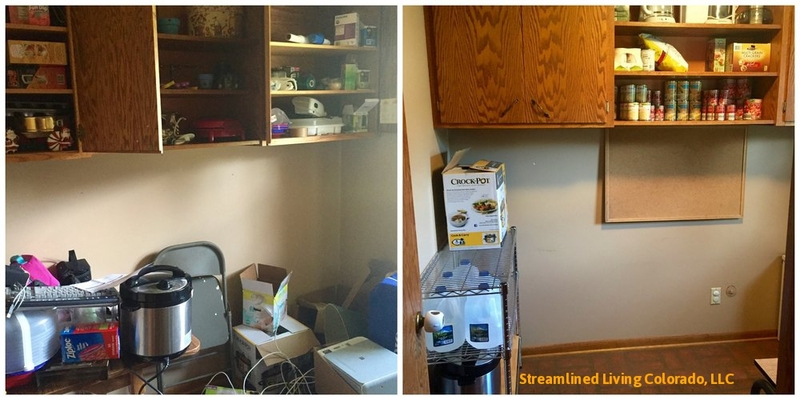 Wheat Ridge Office 1/2: This is another example of a client wanting an extra set of hands to unpack and organize the space as a jump-start to getting settled. 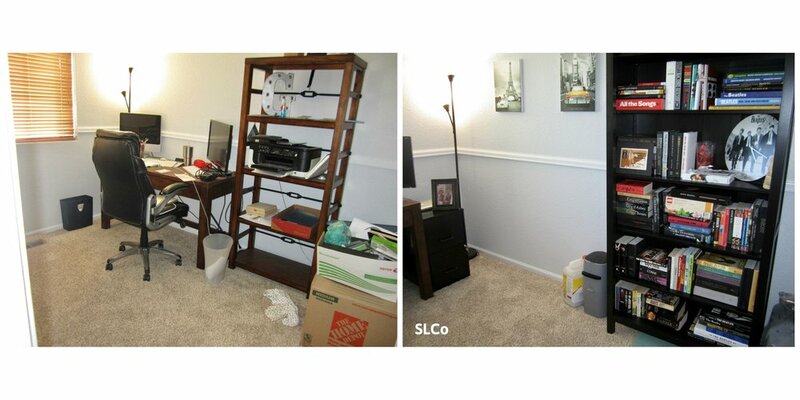 SLCo helped get this office to a more manageable project for my client to finish up on her own (hence the boxes under the desk). 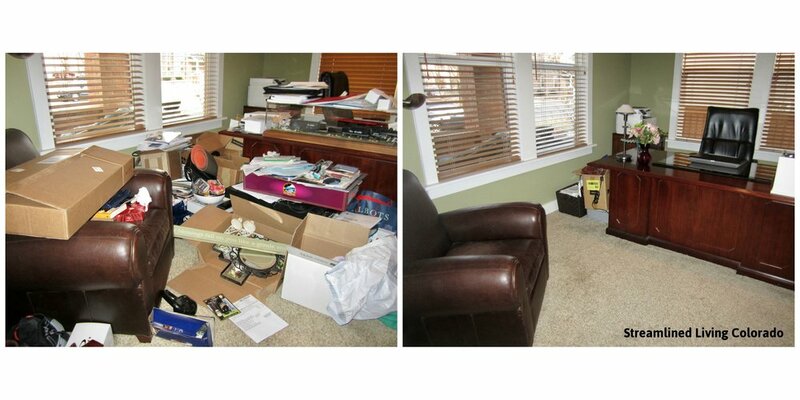 Wheat Ridge Office 2/2: This client is super organized and has a natural knack for it! 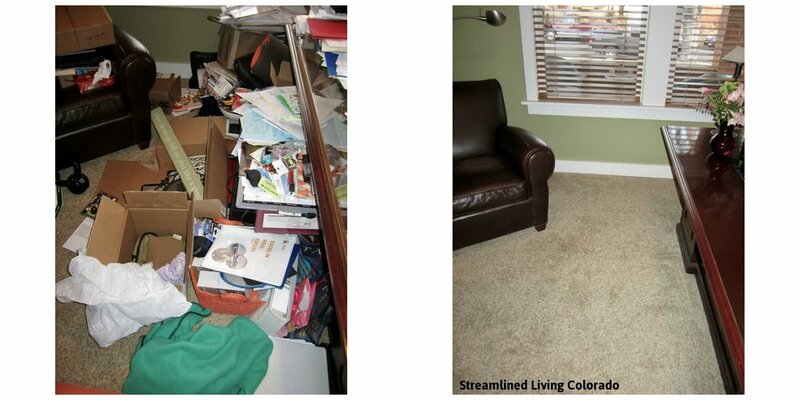 So, why did she hire a professional organizer? Because she wanted a jumpstart on getting her home office unpacked and organized! Mission accomplished! Boulder Office Unpack 1/2: After moving back to the US, these clients are feeling more settled now that the office is unpacked and set up. 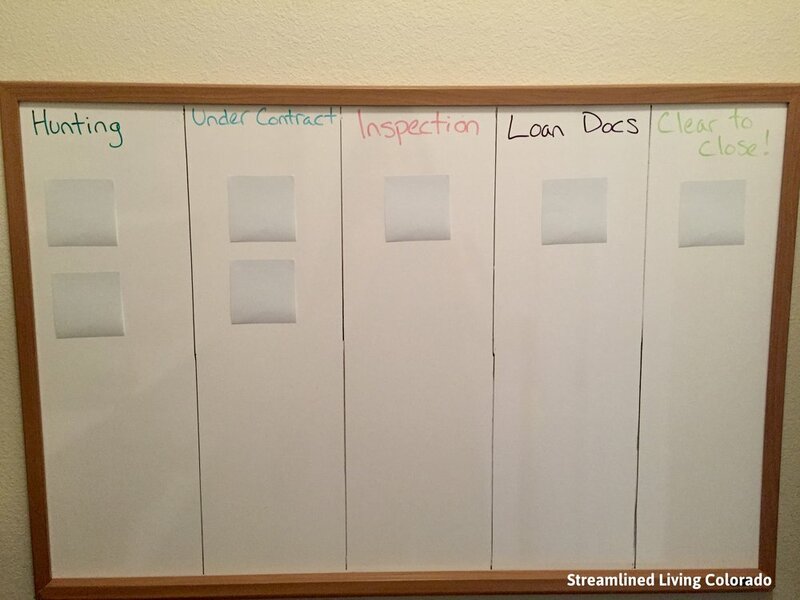 Client Tracking: This busy client wanted to see, at a glance, where her clients are in the home buying process. She'll write the client's name on the post-it and move it into the appropriate column as needed! Denver Command Center 1/2: Not only was this a fun project, but my client reported that her husband came back from a work trip and he was thrilled with the results! 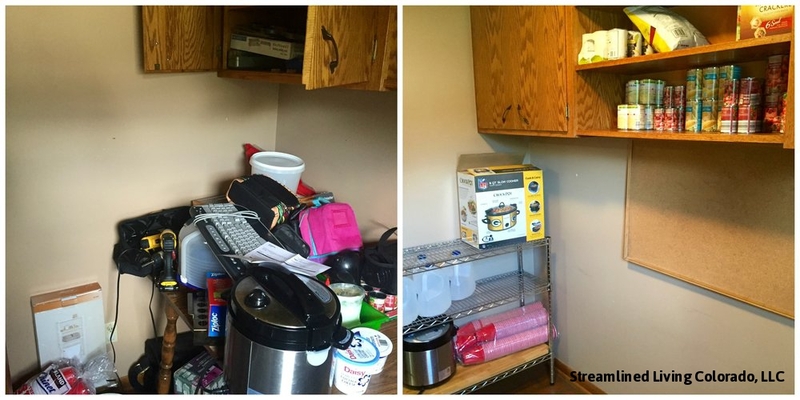 Denver Command Center 2/2: No more paper piles and now there is a central location to charge the family electronics. Post Move Organizing 1/2: The goal of this office was to de-clutter and move any non-office related items to their appropriate home. 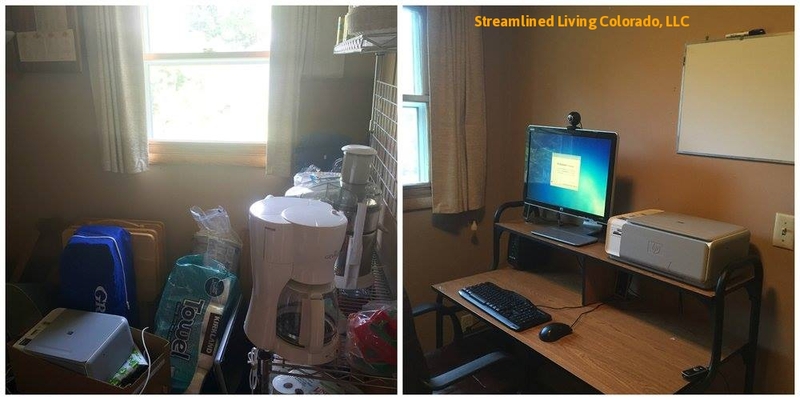 Catch-All Room Becomes Homework Station 1/4: With help from Streamlined Living Colorado, this room went from cluttered and chaotic to streamlined and functional! There is room for the extra pantry items and we also fit a desk and computer in the room to serve as the children's homework station! Catch-All Room Becomes Homework Station 2/4: SLCo came in to clear out the clutter, reorganize and re-purpose this room! What was a cluttered catch-all room became the children's homework space. This project took about 5 hours working directly with my two clients. Catch-All Room Becomes Kid's Homework Station 3/4: What a gratifying project this was! Mom is thrilled to have it organized and de-cluttered while the kids are happy to have a quiet place to study! Catch-All Room Becomes Homework Station 4/4: Now the kids in this family have a quiet place to do homework.